Roger Stone Claims He Will Testify Before US House In Closed Hearing Despite Demanding Public Hearing - Joe.My.God. A longtime adviser to President Donald Trump says he will appear before the House intelligence committee on Sept. 26. The adviser is Roger Stone, a Republican strategist who has known Trump for many years and informally advised him during the 2016 campaign. The panel’s proceedings typically are closed, though Stone asked previously for his appearance to be public. He says he’s asking for the “immediate release” of transcripts from his appearance so there will be “no confusion or misinformation” about his appearance. 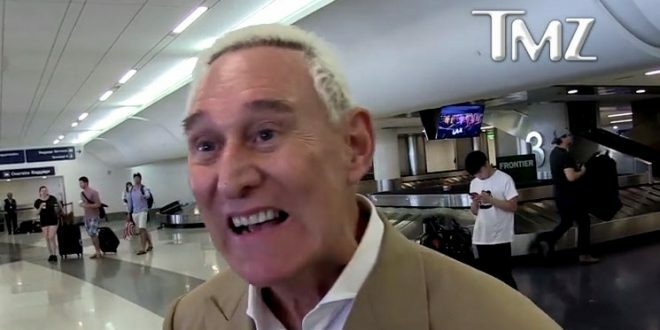 Stone has said he communicated during the presidential campaign with Guccifer 2.0, the unnamed hacker who has taken credit for breaking into Democratic National Committee email servers. But Stone has denied that he worked with Russian officials to influence the presidential election.